You know, I never wanted to think I had allergies; I’ve already developed a lovely lactose intolerance (discovered in Switzerland!) or milk digestive disease disorder or whatever it really is, which doesn’t even matter since all I know is I can’t eat extra sharp cheddar cheese or smoked Gouda or a hot fudge sundae without poofing out. So I figured that was enough and I was done as far as allergies were concerned. Unfortunately, allergies seemed more than concerned about me, what with dust motes and forced air and who knows what else attacking my suddenly-sensitive sinuses over the past year, not to mention irritating the guinea pig’s finer sensibilities. 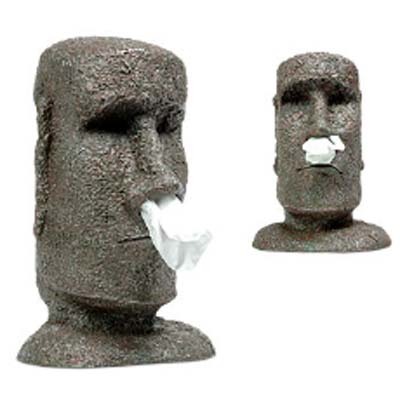 I actively dislike blowing my nose. I’ve gone through bagloads of tissues. Now it turns out it may not be allergies at all. The name sounds like a rhino on wheels and about as useful, but I read this as anything that inflames the ol’ mucous membranes could be suspect. That last line, though, is killer. The allergy meds* already don’t work if I really have allergies; and they obviously won’t work if I don’t. Doomed! In the meantime? Pass the tissues, please. 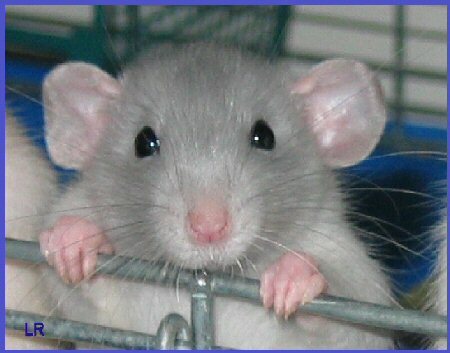 Dumbo rat photo from here. 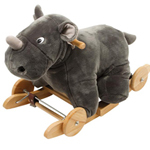 I couldn’t find a rhino on wheels so here’s this rocking rhino on sort-of wheels instead. Isn’t he cute? *Mind you, in my refusal to believe these are real allergies, I’ve merely stuck with Claritin and DayQuil. Anything that might actually work consistently would also render me incapable of functioning in daylight hours. I’ll look into Vidazorb, thanks! I take 2 of those friendly probiotic aciodophilus pills daily, and that’s helped with other things.